Attention Gleeks! 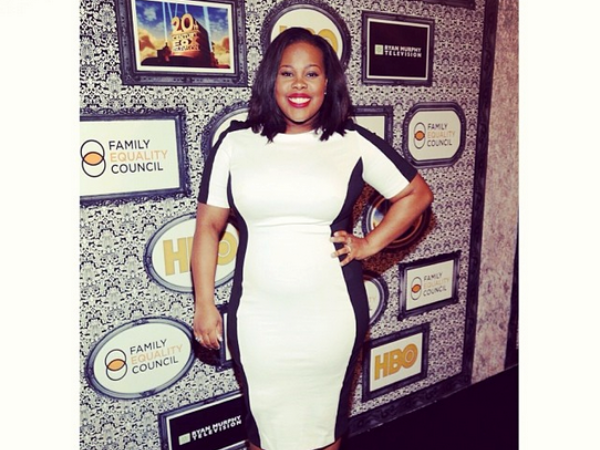 Amber Riley, aka Mercedes Jones from the hit TV show Glee, recently released two solo tracks on SoundCloud. The 28-year-old singer/actress shows off her impressive vocal and rap skills on her track Casino, featuring co-writer Gene Noble. Amber also posted a cover of Leave a Light On, the track she wrote for British-Irish girl group The Saturdays. What do you think? We reckon Amber should’ve kept the song for herself! Amber is signed with talent manager Scooter Braun, who discovered Justin Bieber. We can’t wait to hear her debut album!